Kelly and Andrew started hanging out when they were on the Justice Team together at JMU, and started dating quickly after. They fell in love and are now ENGAGED! Andrew emailed me 3 months ago, asking if I would take proposal shots for them the last weekend in June. He planned out the whole proposal down to having enough chalk next to the dream board! Andrew took Kelly to Dave's (the best restaurant at JMU & their first date place) and then they walked over to write their dreams on the dream board. I was hiding behind a pillar in front of the building across the street. I was SO nervous Kelly was going to see me! I proceeded to take pictures of them writing their dreams on the wall and then him popping the question soon after! After writing our dreams on the chalk wall, Andrew said something like, "So I think this list really reflects the last 2 years and our relationship. It also says a lot about the future and what is to come for us. There's just one thing left to do..."
Then, he started opening the velcro of his pocket, pulled out a ring box, got down on one knee, opened the box, and asked, "Kelly, will you marry me?" I was in SHOCK and so overwhelmed with joyful emotions that I took a few seconds (which seemed much longer than a few seconds to him) to take it all in, then I said, "YES!!!" YAYYY! Andrew then waved me over to come out and Kelly was so excited to see me. It was so much fun sharing and documenting this moment! 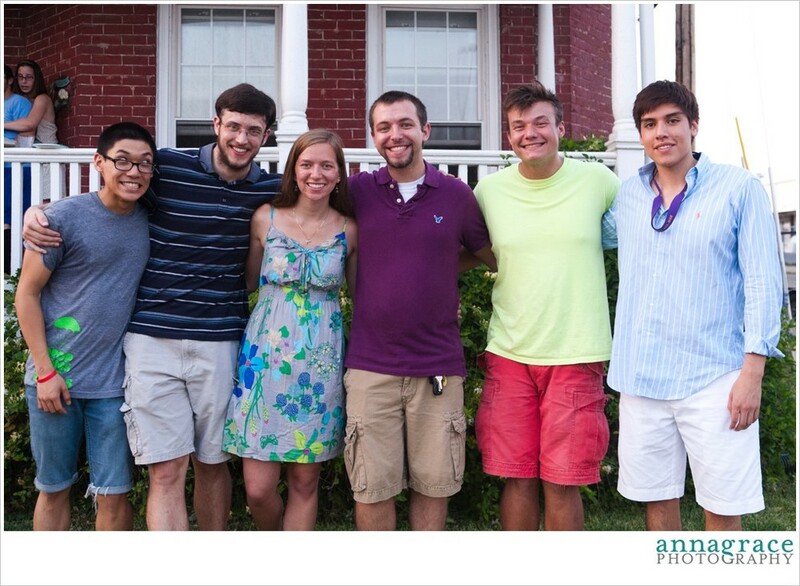 Andrew had also planned a surprise party for Kelly with lots of her friends and family there to celebrate. I am so excited for them and can't wait to see them get married! We took engagement pictures the next day that will be on the blog next week!!! !